A men's style and lifestyle blog. This is how you can look dapper in autumn as well as winter, a simple formal look with a nice overcoat on top. 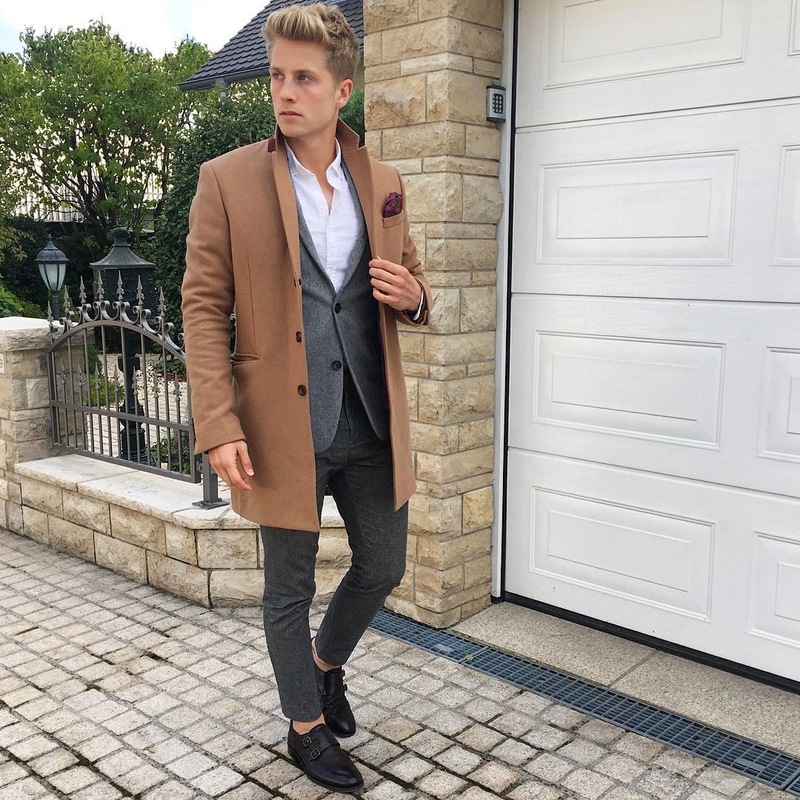 As you can see this outfit is quite smart and preppy, but it doesn’t demand a lot to pull off, simply all you need is your favourite suit, combined with any shirt you like, a nice pair of dressy shoes, then finally an overcoat to top everything off and keep you warm in the cold days. A huge part of this outfit though is the colours, you need to be careful with your colours, don’t go too crazy so keep it simple, and remember that neutral colours fit perfectly in the autumn/winter season, plus they work with almost anything. Another cool thing about the outfit is the fact that you can add so much to it, you can add a tie, a pocket square, a collar pin, etc.. , so you can make it your very own and stand out while wearing it, also you can see the gentleman in the photo wearing a really nice pocket square with his outfit. that they are classic that is why they are timeless. This outfit is really dapper therefore it is intended for business and really formal events, even though it is not that harmful to be overdressed you surely don’t want to be wearing this while getting busy or just going to a casual place so you do not look like you lost your way and ended up there.